Most nights, I fall asleep reading a book. But once in a while, a story comes along that pulls me in so deeply, I forget about rest. I want to know what happens next. 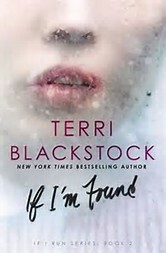 If I’m Found by Terri Blackstock was one of those books. I could not put it down and finished it in one night. Readers meet Casey Cox in the first book, If I Run. A young woman who flees the scene of the murder of her best friend. We also learned how intelligent Casey is and got a peek of her tender heart toward injustice. Now, as Casey continues to hide from people who will surely kill her when/if they do find her, she works to uncover the truth of who killed her friend. She’s on her own with no one to trust. Though she wants to trust Dylan Roberts. The PI who found her but let her go. Blackstock once again takes readers on a roller coaster ride of emotions. Through discoveries and close calls—a little too close for comfort sometimes—readers follow Casey through difficult choices, a little depression and glimpses of hope. Through it all, she remains true to herself. 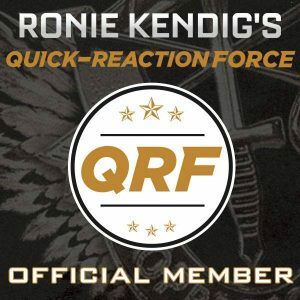 A suspense that left me on the edge of my seat, up late at night, and wanting more. What’s the release date for the next book in the series?